Do you have intense shoulder pain that keeps you awake? Do you have intense shoulder pain? Do you have deep, intense shoulder pain in the front of your shoulder that may run down the outside of the arm into the fingers? Does it hurt when you reach back to your nightstand or put your seat belt on? You may have a hard time reaching for your wallet or zipping your dress…maybe even putting an arm in your coat. If this sounds like you, you probably have trigger points in your infraspinatus and teres minor. 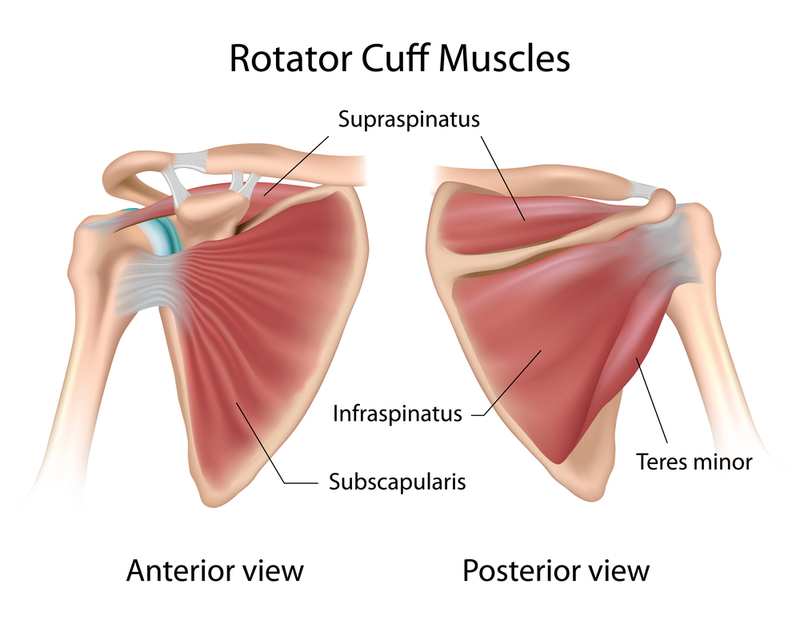 These two muscles are part of the rotator cuff as well as the subscapularis and supraspinatus. The teres minor is like a little brother to the infraspinatus so I will talk about them as one. One of the biggest symptoms of trpts in the infraspinatus and teres minor is if it hurts your shoulder when you sleep. Laying on it hurts because you are compressing the trigger points but also not laying on it hurts because its putting it at a stretch. Hugging a pillow will help that. It is common that a client will also have trigger points in the deltoid, supraspinatus, biceps, teres major and latissimus dorsi, subscapularis and pec major. If you suspect a tear in the rotator cuff, do not stretch it. Avoid doing repetitive things that irritate it such as rolling hair in curlers and reaching back to the bedside table. A heating pad on low while you sleep may help you sleep better. If the muscle is not torn, you can stretch it daily under a warm shower. One other thing you can do is loosen it by laying on a tennis ball.